Hello! Sorry for the absence, but unfortunately there's probably going to be a lot of that coming up. I have a couple trips in the next weeks and then I'm moving at the end of January so I don't know how much free time I'll have. I'll try to be around at least once a week! 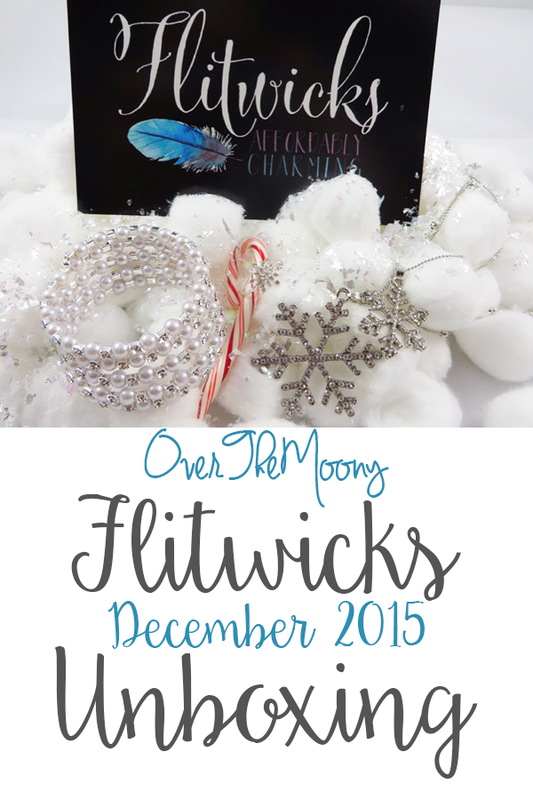 Anyway, I'm here today with the Flitwicks December box and it is so beautiful! This month's theme is "Let It Snow" and it is the perfect accessory to bring a little winter to the 70-degree weather we're having here in New Jersey! As always, we get three different pieces of jewelry. I'm so excited to wear these tomorrow to our Christmas Eve dinner! They're all so pretty and will bring a lot of class to my outfit. I especially love the bracelet - it reminds me of Audrey Hepburn. I hope that you and your family have a wonderful Christmas! Let me know what you'll be doing in the comments below! I'll just be hanging out with my family at my parents' house.